Can a mediocre movie be made worthwhile by a single performance? That’s the question posed by director Phyllida Lloyd’s (Mamma Mia!) The Iron Lady, a sort-of biography of former British Prime Minister Margaret Thatcher written by Abi Morgan (Shame). Granted, when said performance is delivered by Meryl Streep, when the noted thespian’s work is staggering and stunning in almost every respect, easily worthy of all the Oscar buzz swirling around it, that question is probably easier to answer than it otherwise might have been. 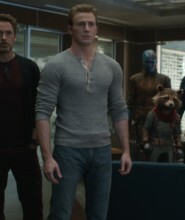 But that simple query still remains: Can a mediocre movie be made worthwhile by a single performance? 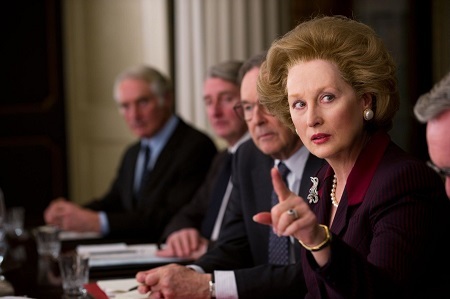 The Iron Lady is a mediocre movie. Sure it is a gigantic step in the right direction over the odious Mamma Mia!, and certainly all of the technical elements (cinematography, editing, music, makeup, production design, casting) are relatively spot-on. But as a fully realized examination of one of the most controversial and important political figures of the last quarter of the 20th century the film falls exasperatingly short. It takes no stand, offers up zero food for thought, and anyone wanting to examine their feelings, or even attempt to discover what their feelings might be, both pro and con about Thatcher won’t find anything substantive to munch on here. The entry into M.T.’s world, her loving nickname given to her by doting husband Denis (Jim Broadbent), is through the dementia the iconic political figure is currently fighting. It’s an interesting way to begin, and one that isn’t without promise as it showcases a side of Thatcher most people know nothing about. The problem is that this allows Morgan and Lloyd to go back into the Prime Minister’s rise and fall without trying to examine it. Everything is shown in snippets, in brief vignettes, so trying to analyze any of Thatcher’s actions or decisions (coal mine shutdowns, tax reform, the Falkland Island invasion, etc.) is close to impossible. I could never get a grasp on who this person is, what made her so special, what allowed the politician to find the will and the drive to make the impossible prospect of becoming Britain’s Prime Minister a possibility. 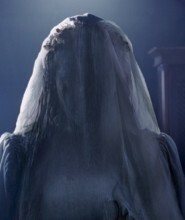 It’s frustrating, and for the life of me I’m not entirely sure what the filmmakers were thinking when they decided to tackle this woman and the voluminous amounts of material that make up her extraordinary life in such a manner. 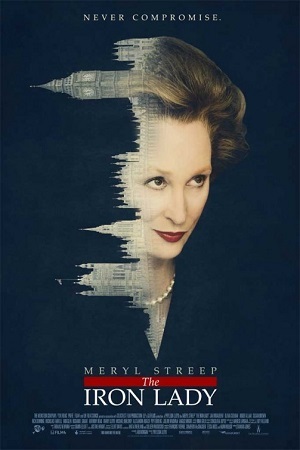 On the flip side, by going down the path of Thatcher’s dementia Morgan and Lloyd give Streep free reign to deliver a mesmerizing performance. Because we don’t know much about her current medical situation, because the personal facets of her life are understandably kept from public consumption, the legendary actress gets to go in directions I simply didn’t see coming. This isn’t impersonation, this isn’t a caricature, this is some sort of miraculous creation on Streep’s part that constantly astounds and consistently amazes. It is arguably the best performance of 2011, the one all others, male or female, should be judged against, and it wouldn’t bother me a lick if after 18 years of being an also-ran the two-time winner picked up her third Academy Award. So does that mean I should give the movie a pass? That I shouldn’t be bothered by Broadbent’s odd theatrics (it’s like he stepped right out of that epilogue sequence featuring M.T. and Denis at the end of For Your Eyes Only) or that the young Margaret, so dynamically portrayed by Alexandra Roach, comes across as something a mentally unbalanced harpy? 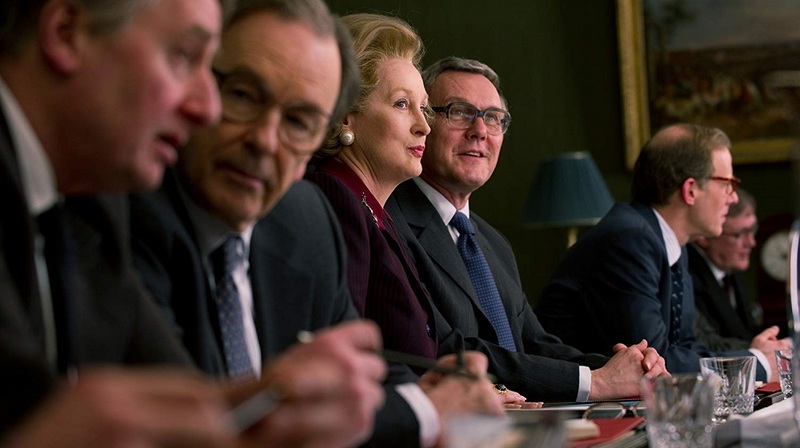 Should I not care that I knew no more about Thatcher’s days as Prime Minister after watching the movie then I did beforehand, or that I wanted to know more about her advisors and supporters then what was found in the precious few bits of dialogue delivered here? Incredibly part of me wants to do just that as Streep truly is that magnificent. I was never bored by the movie, never wanted to run out of the theatre or not watch it all the way through to the end. There are some good ideas, a few moments to cherish that take hold in ways that precious, intimate and natural. But honestly? I’m sorry but none of that is enough, and for a woman who changed the face of international politics forever, for a figure who challenged the very notion of what a leader could be, I wanted more. More importantly, she deserved more, and on that point alone The Iron Lady is a staggering misfire difficult for me to even partially recommend.